Bitcoin is a currency that has changed the world forever. 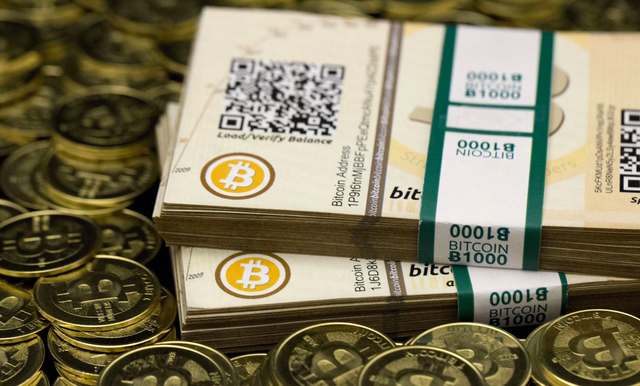 Bitcoin and similar currencies use Blockchain technology to be transferred and secure. Everyone around you seems to be scrambling to buy as many Bitcoins as possible. It seems like everyone and their mother has heard of Bitcoin at this point. I mean, it is possibly the most important invention since the internet, so it shouldn't be too surprising that Bitcoin is catching on as much as it has. With Cryptocurrencies, we have tons of techy jargon that is extremely confusing to new investors. You may have even heard about Bitcoin Cash. What the heck is it? I'm going to tell you what it is. Bitcoin Cash is very much like Bitcoin. Bitcoin Cash or BCH is a fork of Bitcoin, meaning the currency Bitcoin split into two different versions, Bitcoin Core and Bitcoin Cash. This new fork of Bitcoin had the same amount of coins mined at the fork and the same history of transactions. Bitcoin Core is often referred to as simply 'Bitcoin'. The main technical difference between these two coins is how they solve a scaling issue. Bitcoin Core is going to use SegWit2x which is basically a code optimization and an increase in the network's block size to 2MB from 1MB. Bitcoin Cash is avoiding SegWit2x as they believe it is led by individuals with questionable intentions. The technical differences are important, but if the average person saw the two coins they would just see one expensive Bitcoin and one cheaper Bitcoin. The main difference in the two coins has to do with politics, two visions of politics, and price. Both Bitcoin Core and Bitcoin Cash are great investments if you are looking into Cryptocurrencies. The main differences are the price and the way they solve scaling issues. SegWit is not a code optimization. It is code bloat.